The first advice to someone who has never visited France should be to never say no when someone offers cheese. Gastronomical reasons aside, cheese symbolizes something more important – a something well-conveyed to me during my first dinner with my host family. “Harith, would you like to try a little bit of cheese?” asked my host-mother, extending an entire unopened block. Our program instructor had instructed us to say “c’est un peu spécial” – It’s a little too particular for me” whenever we wanted to politely refuse an offer. Now seemed the right time, I thought to myself. “I’m sorry, it’s a little too particular for me,” I replied, with a smile and a small wave of the hand. Everything went downhill from there. My host-mother froze, her arm still extended, but for some reason, her smile had been replaced by an expression of shock. My host-father, who had been intently cutting his chicken, suddenly looked up from his plate, his brows furrowed. My two host-brothers paused wolfing down their pasta to make sense of what I had just said. Even Neige, our dog, looked at me questioningly. “Are you sure you don’t want to try some?” my host-father inquired in a tone that confirmed I was making a mistake. 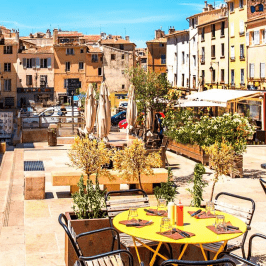 “Sure, why not?…” I replied, shamelessly changing my mind, too afraid to offend someone on my first evening in Aix-en-Provence. I cut myself a very tiny piece of moldy goat cheese and tried not to eye it too suspiciously as I bent down to eat it. After dinner was over and we had cleared the table, my host-mother asked what I thought about the cheese. Naturally, I lied. I told her it wasn’t bad and that I was sorry I had initially refused it. Even though her comment didn’t stop me from brushing my teeth twice that night, it made me feel a little better. At least I understood why everyone had been upset when I had refused the cheese. Refusing cheese meant refusing French tradition. And the French are extremely proud of their traditions. As I slowly began navigating French culture in the following weeks, I learnt there is more than just refusing cheese that can provoke an unwelcome response – in these precarious waters, even the slightest misunderstanding can produce unpleasant reactions. The first time I boarded a bus in Aix, I was called a poorly brought up child. “Bonjour monsieur.” As he greeted me in an undertone, I noticed the driver was unshaven and middle aged, and his expression gave off the impression that he had better things to do than drive a bus. I looked at him and smiled – then I tried to say hello. Anyone who has studied a second language will know how it feels when you try to say something but can only gag because the words escape you. And so here I was, my dysfunctional nine o’clock-in-the-morning-self, gagging in front of this driver who would not have any of it. Mal élevé means someone who has not received good parental upbringing and is hence bad mannered. It is also one of the most incisive insults for a child in France. Not only was the driver calling me bad mannered, but he was also comparing me to a child! I didn’t really know what to reply, but all I could think about were the 18 years of painful south Asian household discipline under the regime of my dictator-mum. I was not going to let some random bus conductor in the south of France disparage those years of pain. Having been jolted awake, I recalled enough of my French to apologize for my faux pas and to explain it had been entirely unintentional. All I received was a dismissive wave. Stupefied, I slowly made my way to the back of the bus, where I promised myself to greet anyone I might even remotely interact with then onward. So far, no disrespect. That morning I learnt that in France, every interaction must begin with a bonjour. From police stations to supermarkets, nightclubs to classrooms, bonjour is the great equalizer. It extinguishes pre-existing differences between actors so both start off as equals in their interaction. Saying bonjour only before a conversation is not enough: any time you share someone else’s space, you must greet. If you sit next to someone on the same bench, you must greet. If you cross someone’s path when you run past them, you must greet. If you pass the security guard of your apartment building, you must greet. In short, the more you greet the better. 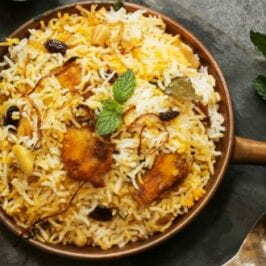 Like manners of interaction, great respect is also traditionally attached to the way food is eaten. The most important of the pre-meal rituals is the collective recital of “bon appétit,” which means eat well. Only once the phrase has been enunciated by everyone around the table is it acceptable to eat; otherwise, you risk being berated. And like the bonjour phenomenon, this, too, I learnt the hard way. Isabelle is my host-father’s sister and one of the Frenchiest French women I have met so far. She is petite, drinks fine red wine and wears fluffy grey woolen shawls. She would be dining with us that night. My host-father had prepared a very special meal called duck cassoulet. Even though I don’t like French cuisine (more about this later), I approve of cassoulet and it is probably my favorite French dish. Moreover, I was famished: I had struggled through six hours of philosophy conducted in French where I had barely understood anything. Food was my consolation. I couldn’t wait to eat. 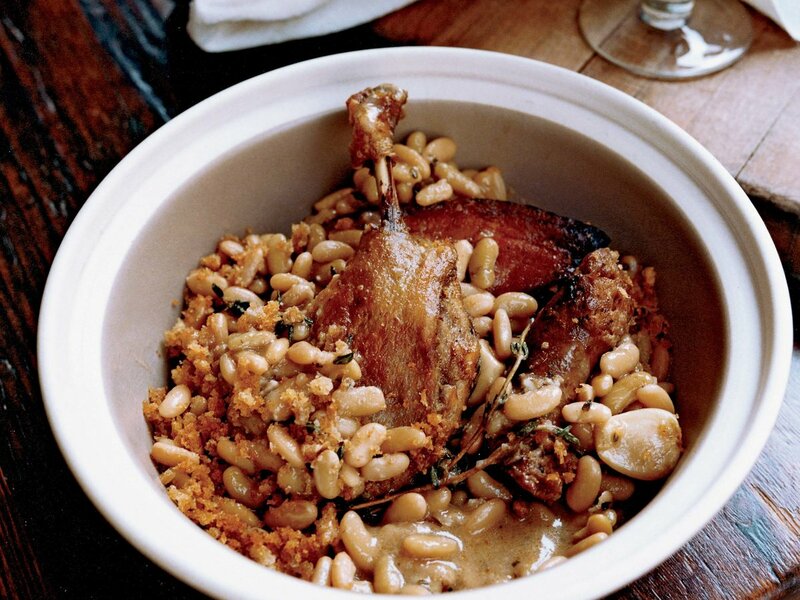 Cassoulet au canard. Looks good, tastes better. I looked up, stunned by the abruptness and the shrillness of Isabelle’s voice. From the head of the table, she was staring down at me, right into my soul. Her nose high and a little wrinkled, her tiny hands with the immaculately painted fiery-red fingernails tightly gripping the side of the table, her demeanor reminded me a little of the way my mother would look at me whenever I soiled my pants as a child. Already knowing I had messed up badly, I scanned the table to see how much everyone else had eaten. They hadn’t touched their food. My face slowly began turning red. I felt hard-done. Starting before everyone else is bad manners in any culture, but Isabelle wasn’t just telling me off – she was shaming me. I could see my host-mother smiling at me understandingly but that made little difference. Humiliated, I muttered a “bon appetit” and only resumed after having made sure that everyone had downed a few mouthfuls. There are many other French traditions that are shocking to outsiders. The frequency of sexual jokes but the rigid abstinence from broaching the subjects of jobs and personal finance, the acceptability of cantankerously pronouncing political opinion (the more cantankerous you are, the better) but the taboo of exchanging names with strangers or discussing race are examples. The concept of small talk does not exist in France, neither does that of a superficial friend. In both cases, you are either all in, or not in at all. 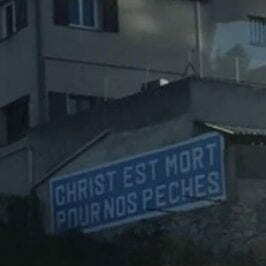 While the constant fear of being culturally correct in France is bad enough, worse yet is how much the French dislike and how quickly they are offended by un-Frenchiness. This is evident by the ubiquity of the French language and the near absence of all others. At train stations and on buses, announcements are made only in French. At bus stops, information is displayed only in French. For every English acronym, the French have their equivalent (ADN for DNA, for example). In academia, there is a French translation for every technical term in every field. Most restaurants only have French menus. At a bookstore, you will only find French translations of books. Even titles of movies are translated, and cinemas run American movies with French subtitles. Not speaking French very clearly marks you a tourist and the French pay special attention to make tourists feel bad when they infringe French traditions. But this is what makes France so special. My second culture shock has been very different from the first. In the US, everyone kinda carves out their own niche and sorta sticks with people of the same community. In France, the acclimatization is one of integration into the whole. The concept of the collective, as opposed to the individual, is celebrated at the social, political and especially cultural levels, where everyone is recognized as French, regardless of individual identity. Hence, culture becomes universal. Traditions become nationalistic. And language becomes pride. So the next time a French person offers you cheese, for the sake of French tradition, please don’t reject it. I am sure that just like me, once you find your place in it, you will end up loving it too.